England's Kevin Pietersen dilemma was neatly encapsulated within eight days in August. In the second Test against South Africa at Headingley, he that had cricket correspondents competing for superlatives. Little more than a week later, the 32-year-old was to players in the South Africa team. Pietersen is the most individual of talents in a sport that prizes the team ethic. Now there has been a truce, with for his actions and the England management bringing him back into the fold. Perhaps it is naive to presume he will be welcomed back into the dressing room though, and the player himself has admitted there are "issues that need to be sorted". Before the furore over the texts, Pietersen suspected some of his team-mates were involved in a 'KP Genius', which sent up the batsman with tweets such as: "Plenty of bonuses for KP this Test: ton bonus, wkt bonus, MoM bonus and genius bonus. That's more cash than the average human can count". Several players denied any involvement, but some had certainly followed the account and even retweeted messages. And Pietersen had been accused of putting his own interests ahead of those of the team early in the summer. The South Africa-born batsman asked to miss two Tests against New Zealand next summer after being signed by Indian Premier League side Delhi Daredevils. The £1.3m transfer fee was dependent on him playing the entire IPL, but the England management refused the request and Pietersen's central contract went unsigned. He then only to instead of going through the England and Wales Cricket Board's official media channels. After failing to deny sending the texts to his "close friends" in the South Africa squad, Pietersen was left out of England's squad later this year and was not offered a central contract. It all seemed a far cry from the years after Pietersen made his England debut, when he was such an enthusiastic member of the team, setting new levels of performance and preparation for his colleagues. Having moved to England in 2000 at the age of 19 because he was disillusioned with the quota system in his native South Africa, Pietersen made his international debut in a one-day international against Zimbabwe four years later. He was key to England's famous Ashes win in 2005 and became the fastest player to 2,000 one-day international runs and 5,000 Test runs. In July 2008 the Times newspaper described him as "the most complete batsman in cricket". The big turning point in his relationship with his adopted side was the removal of the England captaincy in January 2009, after a brief but controversial tenure. Pietersen had tried to remove Peter Moores as coach and Flower as assistant in a move that backfired, with Moores being sacked and Pietersen resigning. Andrew Strauss took over as skipper, leading England to the top of the Test rankings, and Pietersen found the transition back to mere team member a difficult one, admitting "being told what to do all day every day is hard". In his autobiography, spinner Graeme Swann said Pietersen had not been "a natural leader", a view privately held by many others in the team. The imperious innings against South Africa in Leeds in August showed what Pietersen can still do with the bat, and served only to highlight his absence. 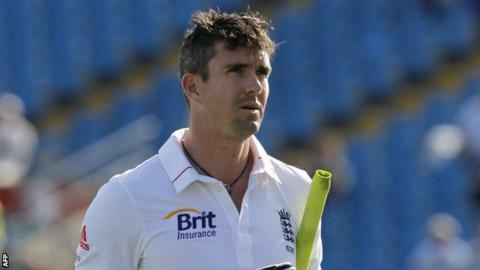 But it remains to be seen whether Pietersen's undoubted quality will outweigh the baggage he brings.